Car accidents can be terrifying and traumatic. What’s worse is when someone else’s recklessness left you in the painful situation you’re dealing with. When in need of compensation, call a Clearfield car crash lawyer for the help you need. Cars are the most common way many of us travel around Clearfield. We need them for work, errands, school, and simply enjoying a trip out. When we’re on the road, we’re careful with the safety of others, and we expect the same courtesy. Unfortunately, a driver might not have been so courteous, and now you need a Clearfield car accident lawyer. At Craig Swapp & Associates, we understand how devastating and confusing a car accident can be, so we’ll fight for your compensation. First, you’ll need to determine the cause of your accident. This will help you address the fault laws that will affect your Clearfield car accident claim. If you’re not sure what caused the car crash, it can be tough to get your compensation. So, protect your claim by speaking with your lawyer about what caused your accident. If you’re not sure what caused your wreck, the following are some of the more common types of car accidents. Perhaps one of these sounds like what you experienced. Distracted Driving – When a driver isn’t focusing on driving, they’re likely to make dangerous mistakes. If they were using their phones, playing with the radio, or eating, for example, they might have caused the accident through their inattention. Driving under the Influence – Some drivers might drive under the influence, which is a serious crime. While there will be a criminal trial, you’ll also need to file an injury claim for your injuries. Drowsy Driving – Driving sleepy affects your ability to act in time and make good judgements, sometimes causing a crash. Late-night accidents are often the fault of drivers who didn’t stop to rest. Drowsy driving is also a common cause of semi-truck accidents. Fighting for your compensation isn’t as simple as finding the cause of your car crash. You’ll also need to determine what you’ll need to do to get your compensation. First, you’ll need to remember that Utah is a no-fault state, which means that your insurance company may cover the damages you’ve suffered. You won’t have to seek out compensation for your injuries from a third party, but you may choose to if you don’t have the insurance coverage you need. You’ll also need to consider your part in the accident. Utah residents will be responsible for their part in the accident. That means that if you’re found 30 percent at fault for the crash, you’ll only receive 70 percent of your compensation. While a car crash claim can help you recover after a serious accident, it’s tough to juggle. You’re dealing with serious injuries while you’re seeking your compensation, so you might struggle to follow the necessary laws that govern your claim. 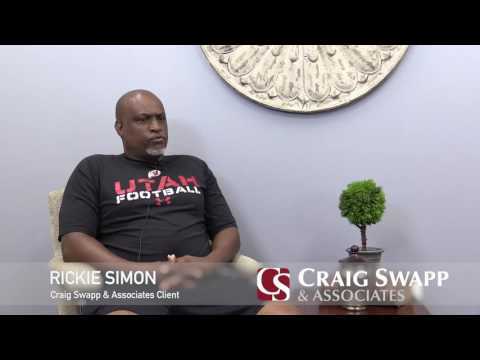 That’s why you need an attorney from Craig Swapp & Associates. Starting with a free consultation, our attorneys can ensure you get the settlement or compensation you deserve from the right party. You’ll need a Clearfield car accident lawyer to protect your claim from being diminished as well. So, act now to take advantage of our offer and get the compensation you deserve. To start, call 1-800-404-9000 or complete the online form below.